Humans have a diversity of new ideas to transform our thoughts into reality. But we implement very less of it. Have you ever thought about why this is happening? For most of the cases, answers are bounded around inaccessibility to make them real. But does it justify our rapidly growing technology? The answer is a big NO. So, where we are doing wrong? What still needs to be amended in our system? And I think, we can get its answer from Apple which one of the biggest Technology oriented brand of the world. Apple gave a simple solution that EveryOne Can Code which is designed to give a platform to anyone who wants to create something that can change the world. The only motive to promote coding is to give wings to ideas and make them real. To raise this agenda that Everyone Can Code, Tim Cook made his first visit as CEO of Apple at Toronto in January 2018 and promoted students to code using swift for raising education and economics of company’s Technology. The curriculum of Everyone Can Code is build to help educators in teaching coding to students and entirely based on swift programming language. The Special thing about is that it has an interactive environment that helps to start to learn code without actual coding knowledge. 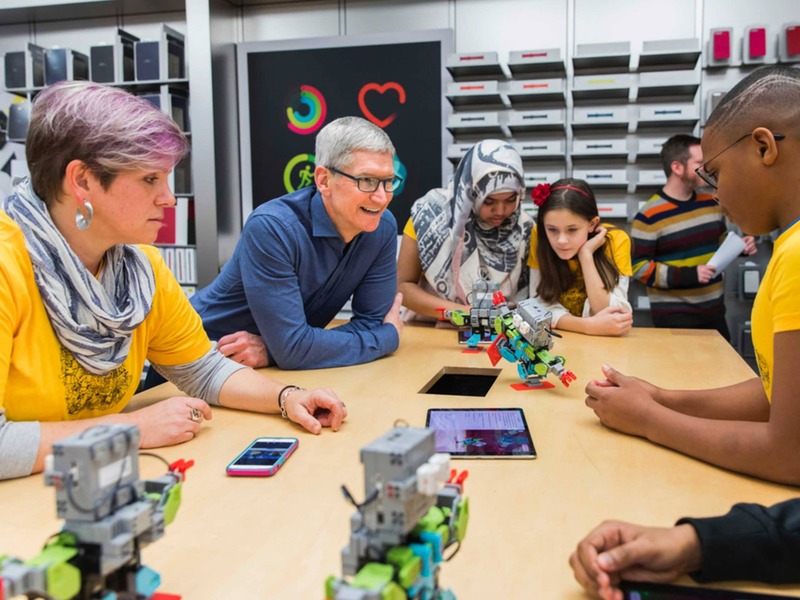 The interesting thing which amazed Tim Cook was that group of students and a teacher from Charles Gordon Senior Public School introduced coding in a curriculum. Students of grade 7 found practising coding for one hour per day. But what amazed him the most? The educator of coding is a music teacher with 20 years of experience! 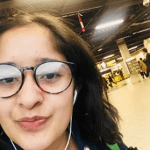 She started dwelling interest in technology and wanted to grow as a lifelong learner by integrating coding as a way to engage and inspire her students for creativity. Her name is Denise Salsman. We interviewed her regarding this experience in our podcast 4th episode. The story of Denise is an inspirational example of not only to students but also to teachers. She proved that there is no age limit to gain technical knowledge after working in a non-technical field for so long. And as an educator, she did a great job to inspire students as well. The results Denise got after practising it for more than one year were really astonishing. She observed that there was an overall improvement in student’s grades. As collaborating for solution poses several intellectual challenges to them and that overall is beneficial to students. This activity and efforts to learn to code enthralled everyone. Even I personally believe that in current education system coding is a big hype subject of computer programming course. Whereas, a child attains a deeper understanding to make his innovative ideas possible with such play way tools. The idea of coding has also raised some legitimate and important questions. People think that it is only useful for students who have an interest in it and want to be part of the software industry in future. But we need to understand that coding more about logic and problem solving and teaches us how to think. It gives us all enormous challenges and opportunities to update the curriculum of our society and education system. It is not just for the students and people who have an interest in it. Listen to our podcast 4th episode, where Denise Salsman will herself tell about apple and her story. I hope it will inspire teachers who can shape up the future of students and the young generation. And we as a technophile or non-techie should try to understand one of a proactive idea of Steve Job that “Computer Science is a liberal art”.